Drake drop his new video “In My Feelings” as promised on Thursday night. Yesterday, Drake announced on IG that he would be dropping the long-awaiting video for his viral single “In My Feelings.” The cinematic clip was directed by Karena Evans and saw La La Anthony playing Drizzy’s love interest Keke and Phylicia Rashad playing the role of her mother. Instagram comedian Shiggy, who started the “In My Feelings” dance challenge, also made a cameo in the video. Elsewhere in the clip, you will see Big Freedia and City Girls’ Yung Miami making a cameo. 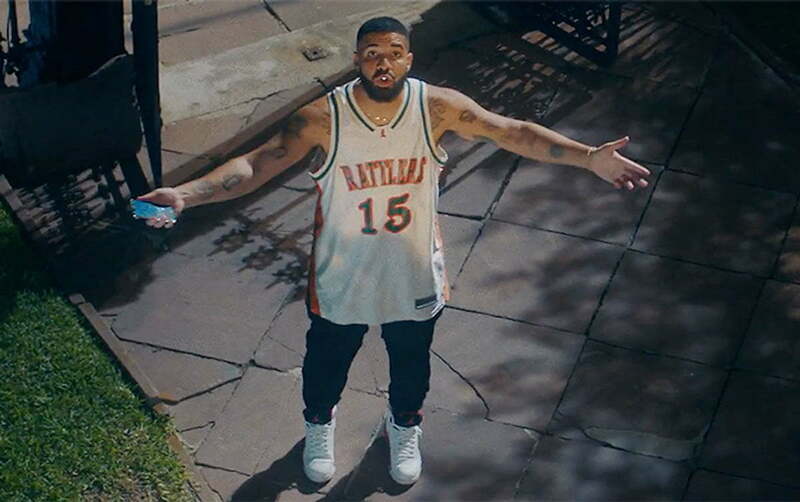 The clip kicks off with Drake pulling up to Keke’s house on the block and throwing a stone to knock on her video to get her attention. “I’m trying to tell you, I love you, girl, for real,” he told Keke. While talking to her, her mother came out and told the 6 God to get off her lawn and leave. Drizzy left reluctantly in his black Escalade. The skit was hilarious with Drake rocking gold teeth and Jordans sneakers while hanging out with his home boys. At the end of the video, Drake woke up inside his trailer telling his friend CJ that he had a dream about the whole thing that happened in the video. “This kid from New York that spits when he talks all the time did some dance to it and then the world did the dance and Will Smith was there,” the 6 God said. So far “In My Feelings” has been the biggest new song on Drake’s new album Scorpion. The track currently holds the record for the most streamed song in a single week and is currently No. 1 on Billboard Hot 100 chart. With the release of the music video, the song will surely keep that number one spot for weeks to come.